Tea <3 My daughter would say, tea in a teacup tastes better but I think traditional tea cups are just too small! 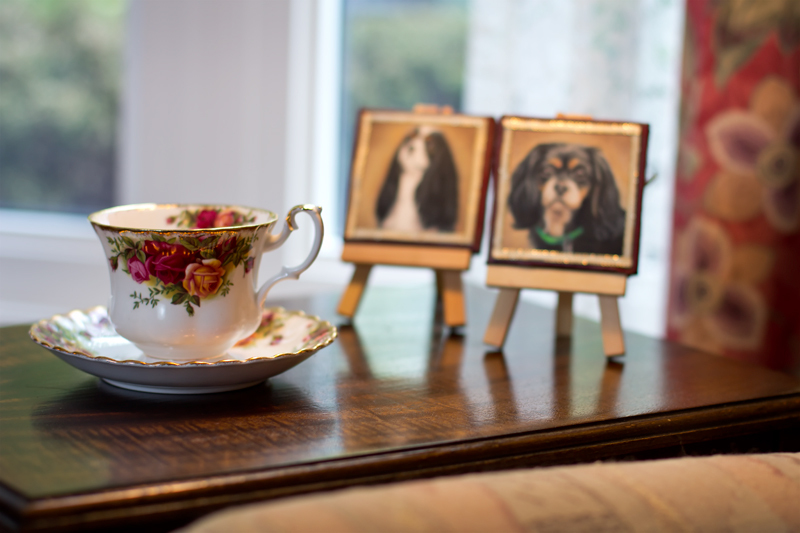 My youngest daughter first saw "Royal Albert Bone China" while working at a Museum and has vowed to one day own a teacup from the "Old Country Rose" pattern. 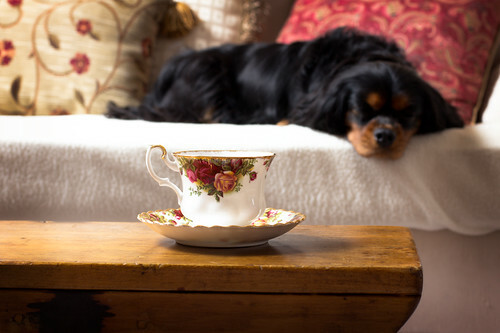 Perhaps she is an old soul, in a young body because she was enthralled to add this teacup to her collection.The "Old Country Rose" pattern has a variety of styles of teacups and the one she spotted at Waterford Antique Market was the "Montrose Breakfast" . 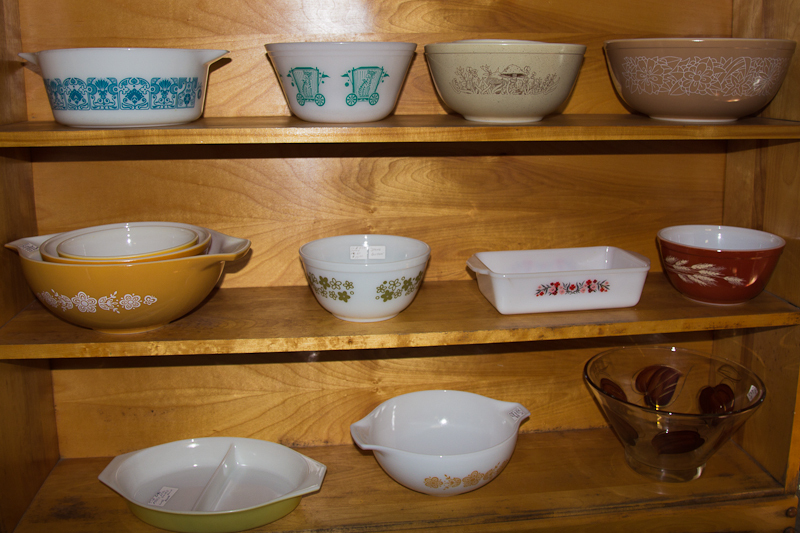 Teacups are OK, but my head turned at the simpler, old Pyrex collection. Well I did spot a $550 Staffordshire Spaniel that turned my head till I thought about what lens that kind of money would buy. 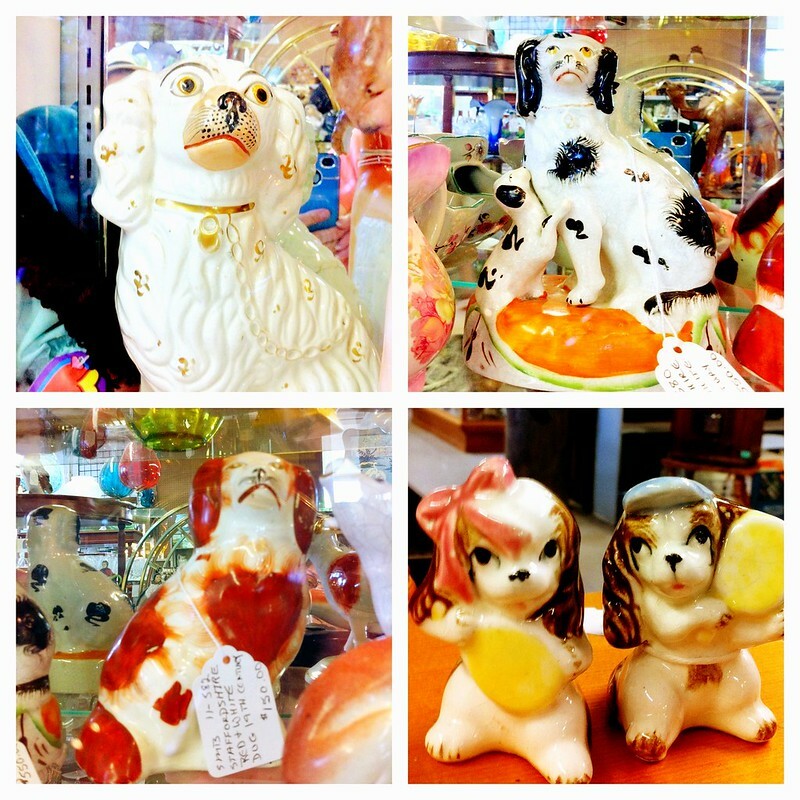 In the end, I settled for $4 Spaniel salt and pepper shakers.